At Specialized Electronic Services, we are one of the largest ALTIVAR drive Service and Warranty Centers in the Southern U.S., and we are experts in ALTIVAR drive repair. We can sell, service, and repair the entire ALTIVAR drive product line. We have extensive design and start-up experience with all ALTIVAR drive products. We also have factory trained repair technicians and programmers on staff. Whatever your needs may be with ALTIVAR Square D equipment, we have the solution for you. We have done retrofit jobs in the field on the bucket drives with the old Altivar 58 drive units and upgraded them to the new Altivar 61 drive and Altivar 71 style drives. Our field service group has worked on many Square D VFD’s at government municipalities and office buildings for HVAC and pump applications as well. Almost all the Altivar Square-D AC drives listed above are in stock in Dallas Texas ready to ship today. 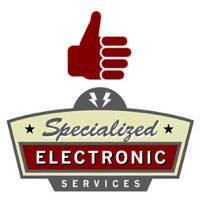 At Specialized Electronics we will help you with you Square D Altivar AC drive needs be it a repair or a purchase. Call and ask for sales to place an order for your Square D AC drive or ask for technical support if you need to cross your obsolete Altivar part number to a current model part number. Call us today if you have a need to purchase or repair your Altivar Drives products even if not listed above as we have many more items in stock and repair many items that we carry and do not carry as well. At Specialized Electronics we can train you to troubleshoot and fix your Altivar Drives.